There’s been a lot of darkness lately, but yesterday in California a little light slipped through. 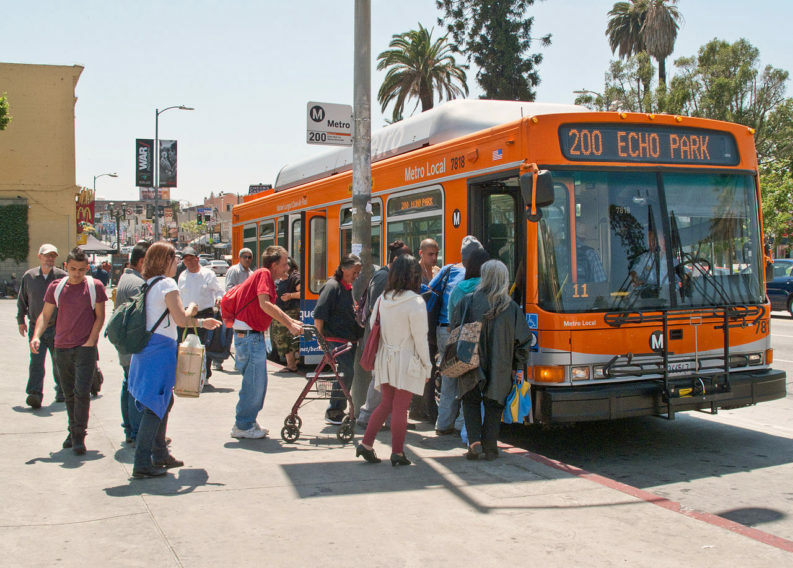 In a landmark decision, the Los Angeles Superior Court ruled that information related to jobs promises in a Los Angeles Metro contract with Canadian multinational bus manufacturer New Flyer should be released to the public. That might not sound like a big deal, but what New Flyer was trying to do was downright absurd. The corporation won the $500 million contract in 2013 based, in large part, on its promise to create 69 new good paying jobs in California and the U.S. In fact, that commitment pushed them to the top of the bidders list. They were following in the footsteps of a number of corporations that have claimed “trade secrets” in recent years. The massive water corporation Suez North America successfully urged officials in Allentown, Pennsylvania, to delay the release of financial information pertaining to the city’s plans to sell off its public water system. In Chicago, rail car manufacturer Bombardier continues to block key information from being released to the public regarding its compliance with mandated Buy American rules. But a coalition of open government organizations led by Jobs to Move America and including In the Public Interest were able to stop New Flyer. The coalition also included Project On Government Oversight, Food & Water Watch, Center for Media and Democracy, Open The Government, Corporate Accountability International, and Californians Aware. There was a lot at stake at this case, and I’m glad we won. State and local governments together spend trillions of dollars a year procuring goods and services—taxpayers deserve to know whether that money is increasing already skyrocketing inequality. And if the court had sided with New Flyer, corporations might’ve been able to use the precedent to hide important details in all kinds of agreements with the public, like whether they are following living wage laws. The court’s decision to side with the public caps off a good week for democracy—on Wednesday, the U.S. Supreme Court ruled to force private prison corporations to release records about the “detention bed quota” that requires the government fund 34,000 beds for detained undocumented immigrants. The very existence of a democratic society comes into question when citizens can’t find out how public dollars are spent. It looks like the courts might be starting to agree.